Because of their size, Great Danes are often prone to some serious health issues. The chance that your Great Dane might be diagnosed with something bad increases if you don’t train him and allow him to get plenty of exercise. 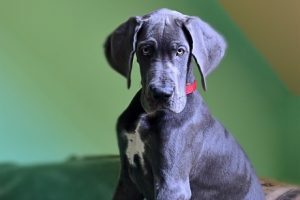 So, in order to prepare you for your life with your Great Dane, here are some common health issues they may face, what causes them and what to do to avoid or treat them. One of the most common health issues a dog may be diagnosed with is hip dysplasia. This means that the joints and bones of the dog will rub against each other while the dog is performing normal activities. Lameness, pain, and even arthritis can come as results of hip dysplasia. If you notice that your dog has trouble in getting up, shies away from being active or starts showing pain, then hip dysplasia might be the cause of these symptoms. 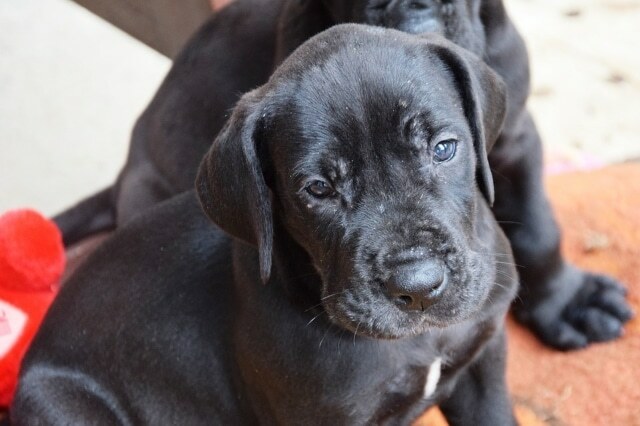 Because of the rapid growth of Great Danes, they are likely to develop elbow dysplasia, which means that due to the wear and tear, as well as to the malformation of the elbow joint, joint swelling can occur. It can also lead to osteoarthritis. According to doctors, a proper nutrition can help reduce the chances of elbow dysplasia, by controlling the growth of your dog. 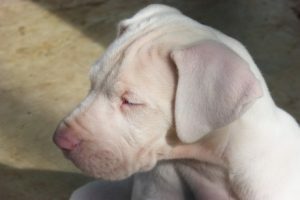 Therefore, it is very important to choose the right food for Great Dane puppies so they will grow without any health issues. When a dog’s stomach twists, then the animal’s abdomen will swell and therefore stop the blood flow within the digestive tract. Also known as extreme bloating, this is to be noticed immediately as it can kill the dog in a matter of hours. Surgical intervention is required to eliminate any risks. Gastric torsion is the main health issue that causes death when it comes to Great Danes. Great Danes get very attached to their owner, and while you might expect your dog to have a physical health issue, he or she can also develop issues that are related to their emotions. Failing to provide your Great Dane with the love and affection that the dog needs may cause canine separation anxiety. This can be easily spotted as your dog will begin to bark excessively, will have bathroom accidents, as well as a destructive behavior. These mean that your dog is calling out for your attention – so be sure to provide him with it before these symptoms occur. Take him for long walks and exercise with him more and the risks to develop separation anxiety will lower significantly. This health issue is mostly seen in large breeds of dogs, such as the Great Dane. The Wobbler Syndrome affects the cervical spine and how the vertebrae line with one another. Symptoms such as neck pain and even spinal cord compression are a result of your dog developing the Wobbler Syndrome. Because of the way they were bred, and most likely due to genetics, Great Danes can develop cardiomyopathy. One instance of cardiomyopathy is dilated cardiomyopathy and this causes heart enlargement – which can lead to your dog’s death. The disease acts fast and most of the times, you won’t even notice the symptoms. If you notice that your dog has difficulty in breathing, you should take the animal to the vet immediately. Usually, the first effect of heart enlargement is death, so you should always keep an eye open on your dog and on the way he or she breathes. Because of its large ears, the Great Dane is prone to developing some ear infections. This can happen because of a bacterial infection or yeast and these come with symptoms such as itchiness and pain. However, Aspergillus, hypothyroidism, and allergies can also cause ear infections. You should be careful of ear mites and any objects that might get stuck inside the ear of your Great Dane. Besides itchiness and pain, your dog may also have an abnormal discharge from the ear, might shake his head more often, and even lose the hair in the auricular area – all of these are symptoms that should make you take him or her to the vet and be careful to clean the dog’s ears more often. This is a health issue that occurs when the dog’s body can’t properly produce thyroid hormones. These hormones are in charge of the regulation of their metabolism and dogs that suffer from hypothyroidism will have their metabolism rate at much slower levels. Symptoms like lethargy, weight gain, intolerance to the cold, and muscle loss warn you that your dog is having this health issue. It is recommended that you take your dog to the vet as soon as you notice any of these symptoms because this is a disease that’s very easy to treat if it’s spotted early and diagnosed properly. You might have read that you should exercise with your Great Dane in order to keep him or her healthy and avoid a number of health issues that are related to lack of activity. However, you shouldn’t pressure your dog into exercise from an early age. It’s best you wait until they are at least two years of age before proceeding with more challenging exercise. Because they grow so quickly, their joints and bones will not be properly formed until a certain stage of development has been reached. Through intense exercise, these can get hurt and will later affect your dog and cause other health problems as he fully grows. Also important for a Great Dane is his or her diet. With every stage of development, the dog’s diet should be changed in order to accommodate the changes in his or her body. A diet that’s too rich in protein, calcium and some other supplements may lead to some other health issues. 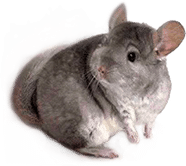 That is why it is advised that you visit your veterinarian so a medical professional guides you toward the perfect diet and exercise scheme for your Great Dane puppy. Therefore, you should keep in mind three things: to provide your Great Dane with a proper diet, get him or her to exercise daily – but only when the pooch is mature enough – and take him or her to regular checkups to see if there are any other health issues that might need treatment.